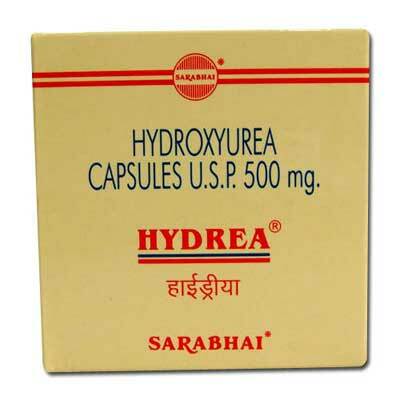 Hydrea contains hydroxyurea and belongs to a class of medications known as antineoplastic agents. Hydrea is used for the treatment of Refractory ovarian cancer, Polycythemia vera, Hypereosinophilic syndrome. Note :- Hydrea is a prescription drug and should be used under proper medical guidance and advice. Do not share the medicine with others, since they may be suffering from a problem that is not effectively treated by this drug.